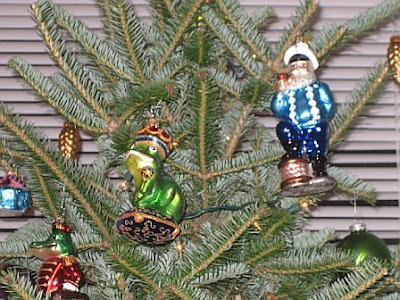 I've been collecting Christopher Radko ornaments for a long time now. This is only the second year I have had my own tree and been able to put them up. I have so many now, I should probably make sure my homeowners insurance (actually renters) is up to date, because if my tree ever fell over and they all broke I would be one sad little girl...not to mention very poor if I ever had to replace them all. 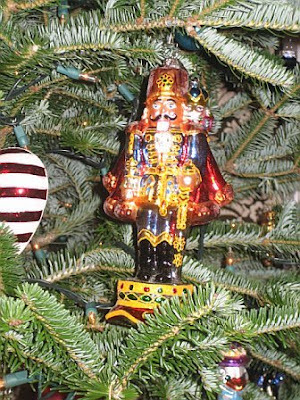 A very large nutcracker man, this one is like 9 inches tall. 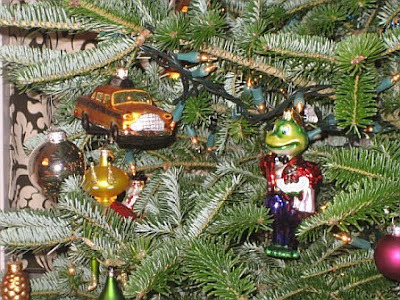 Another frog, and a taxi cab. 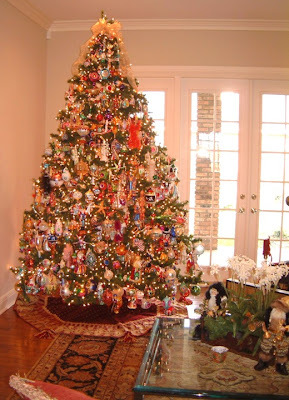 Here are some other peoples trees filled with all Radko ornaments...I don't quite have this many, at least not yet. Actually I need to start collecting more of the "Gems" or smaller Radko ornaments to fill up my tree. I have so many huge ones, and there are only so many sturdy branches on a tree to hold them. 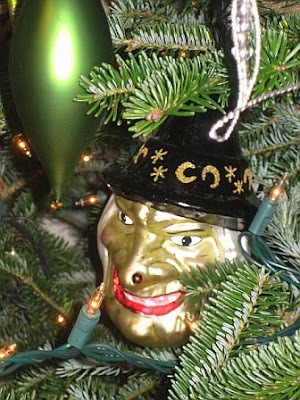 So, what kind of ornaments do you collect?